Review: Neck Deep- Life’s Not Out to Get You – Ouch That Hertz! 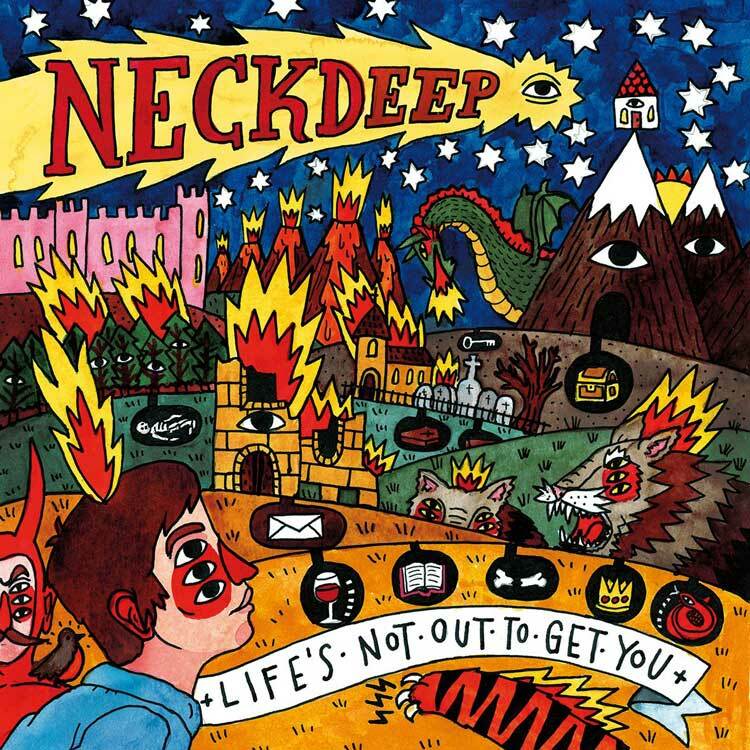 Neck Deep just released their newest album, Life’s Not Out to Get You, produced by none other than Jeremy McKinnon of A Day to Remember. The title of the album seems appropriate as the band’s lyrical content has tremendously changed and aged. Neck Deep brought a new style, thanks to McKinnon’s production work. In fact, this album sounds almost like an ADTR album. Jeremy McKinnon did backing vocals for one of the tracks on the album, and you can hear McKinnon’s dog barking in the background occasionally. Neck Deep has successfully fused their pop-punk style with adult attitudes, and they seemed to have dropped the sad-boy act. Ben Barlow, the lead singer of the band stated in an interview with Alternative Press “I just don’t want to write songs that make people sad.” (Alternative Press, 2015). This is one of the best albums released this year, and Neck Deep should really be proud of their work, as this album brings a lot of different elements into the final product. Barlow’s vocals are on point, his vocals are squeaky clean and controlled, and he has really stepped up as a singer. Favorite Tracks: December, Kali Ma, Gold Steps, Lime St.